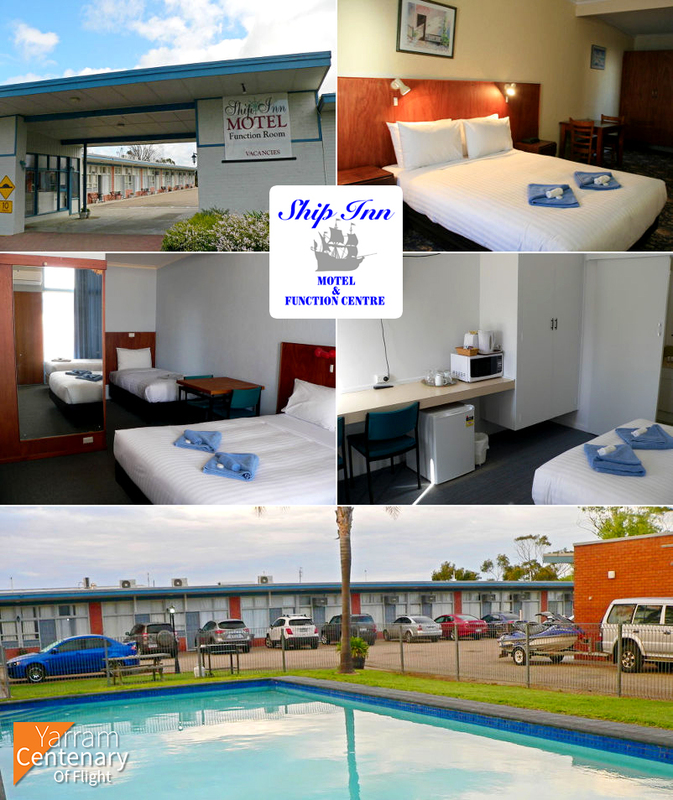 We are delighted to announce that the Ship Inn Motel has come onboard for our Yarram Centenary of Flight airshow on March 17th - They will be looking after the pilots in the lead up to the show. They also be hosting our Commemoration Dinner on the Saturday evening with guest speaker Michael Smith. For tickets for the dinner please call 0428527237. Get 10% off a room at the Port Albert Motel if you are going to the airshow. Just show your ticket to receive the discount - But hurry on a few rooms left! Copyright © 2018 Yarram Centenary Of Flight. All rights reserved.